The governorship candidate of the Alliance for Democracy in Osun State, Mr Olugbenga Akintola, has said that civil servants, pensioners and other categories of people in the stage have been turned to beggars because of the policy of the present government. Akintola said this in his acceptance speech at the beginning of his campaign in Osogbo on Thursday. The governorship candidate said workers and pensioners were subjected to suffering for 34 months because of irregular payment of salaries and modulated salaries introduced by the Governor Rauf Aregbesola-led All Progressives Congress government. Akintola said although the situation in the state was very bad, he was ready to rebuild the state into a prosperous state if voted into power. He said the state needed to be rebuilt, stressing that his administration would make the people its focus of development in order to develop them and make their lives meaningful. He said, “I accept the flag of our party at a moment when 4.2 million Osun people are in a battle of day-to-day survival. I accept the flag of our party when the debt of Osun State is more than N200bn. I accept the flag of our party when our hard-working citizens have been turned to beggars because of 34 months’ half salaries. One of the leaders of the AD, Senator Mojisoluwa Akinfenwa, said the administration of Aregbesola had inflicted so much pain and suffering on the people in the last eight years. 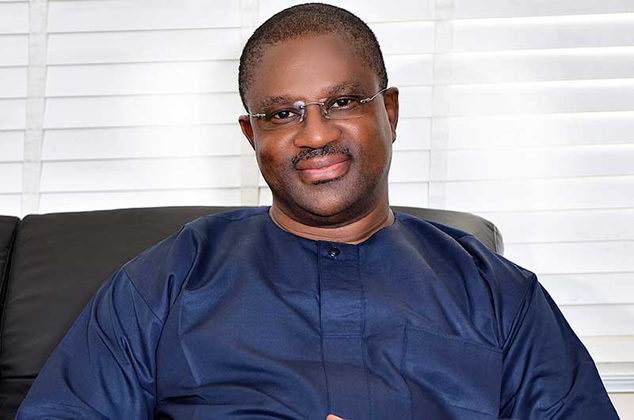 He called on the people of the state to stop the alleged transference of their collective wealth to Lagos by voting the AD candidate, who he said would revive the economy.